Located just off the Venezuelan coast, this small Dutch Caribbean island is known for its beautiful beaches, gentle surf, and dry, sunny weather, kept cool by the constant trade winds. 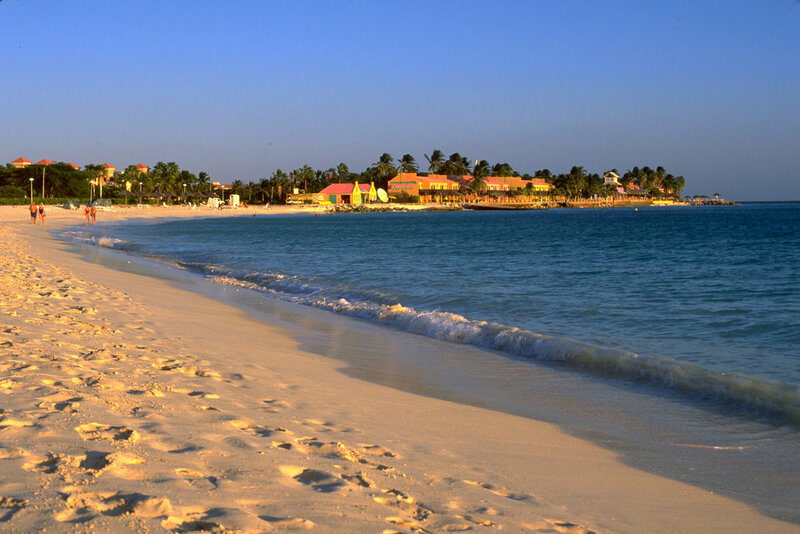 Aruba is a friendly, happy island with fantastic beaches with plenty of things to do for the whole family. 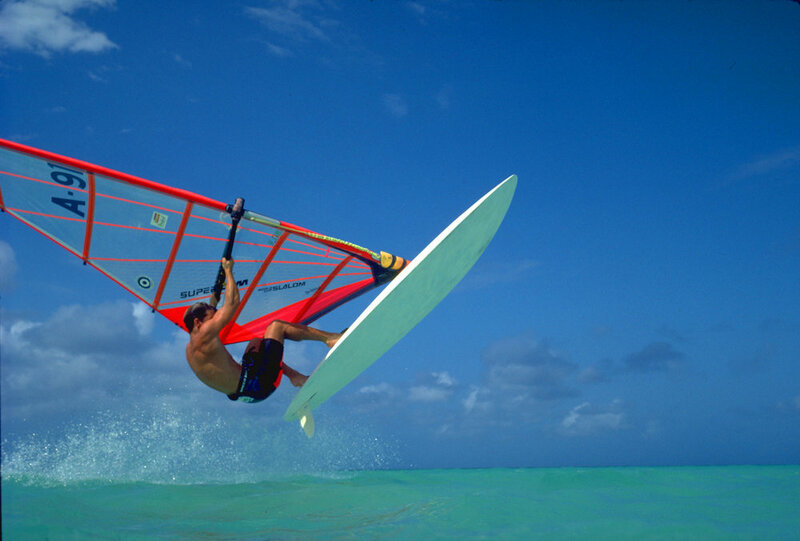 Close your eyes and imagine what you’re looking for from your Caribbean getaway; if its long gleaming beaches, plenty of water-sports, a familiar and friendly culture… then Aruba Island should be high up on your list. Home to many duty-free shops and casinos, the island is a favourite destination port for cruise ships- but visitors also come here to take advantage of fantastic restaurants, lively nightclubs, and some of the best windsurfing in the world. 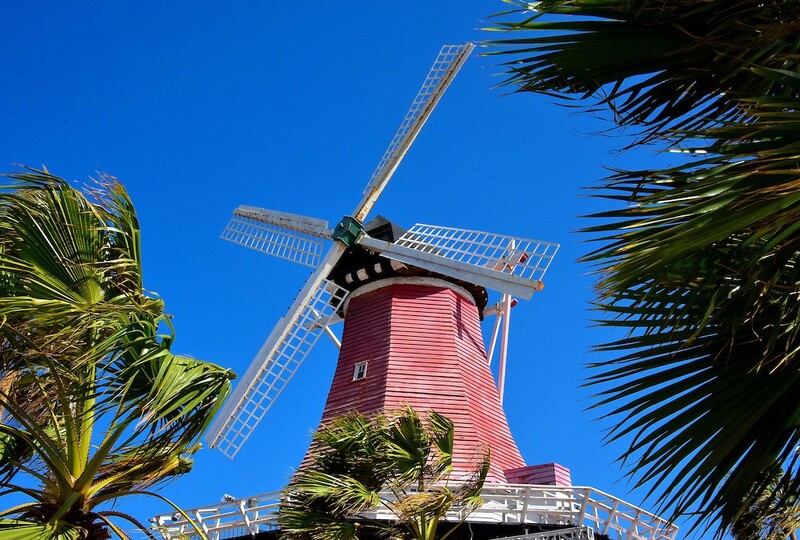 The history of Aruba is relatively tranquil and conflict-free, a contrast to many other of the Caribbean islands. While initially ignored by the Spanish due to the lack of fertile soil, it wasn’t until later when the Dutch discovered gold here- just as slavery in the Caribbean was coming to an end. Slavery is not a huge part of the history here, and the peaceful nature of the past has permeated the present; you will find the people here warm, relaxed and welcoming. Unlike some other Caribbean cultures, geography and tourism - not slavery and injustice - have shaped the history of Aruba; expect happy people who embrace the island's slogan of "One Happy Island." 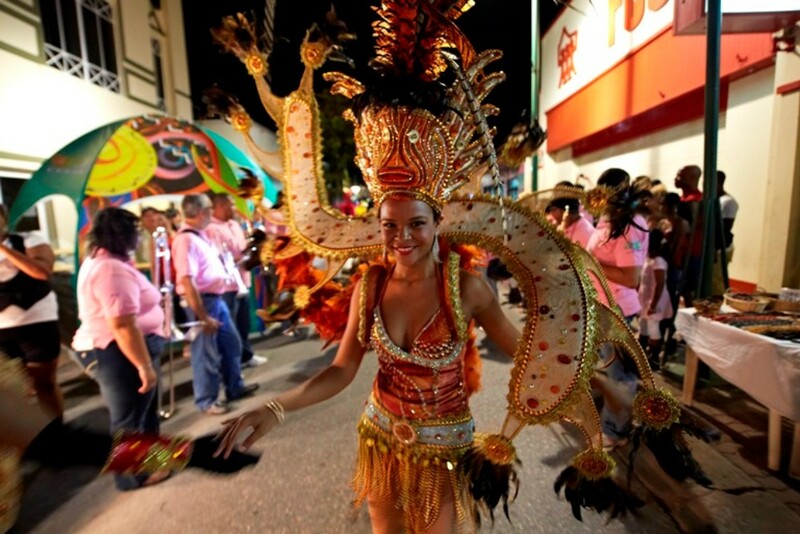 Arubans love their music; merengue, soca, and the local mix known as socarengue are styles you will inevitably hear if you choose to holiday in Aruba. They also take pride in education- 17% of the national budget is spent on education, and Arubans are well-versed in many languages, including Dutch, Spanish, English, and the native blend called Papiamento, which is a mixture of various other tongues. 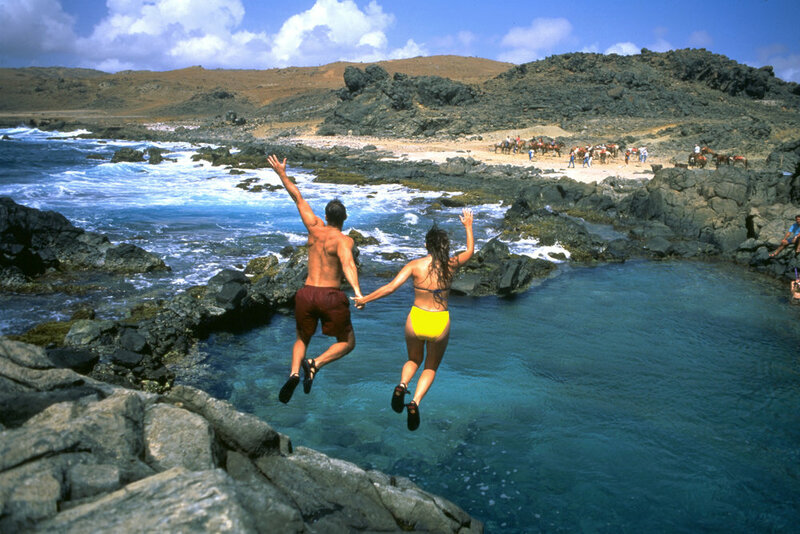 Early on, Aruba recognised the importance of tourism on their economic prosperity, and has taken measures to ensure progression of the tourism industry. In the last 15 years, the hotel occupancy has grown five times the size and tourism here is still one of the fastest growing in the region, thanks largely to the native population's warm attitude toward visitors. A popular story tells of a tourist who asked an Aruban taxi driver to describe a typical Aruban household and found himself and his family being entertained by the taxi driver's family over dinner. This kind of hospitality is frequently heard of, and is just one of the many things that make an Aruban holiday different than one on any other Caribbean island. Aruba's weather is dreamy. Sitting south of the Caribbean hurricane belt, Aruba enjoys an extremely low risk of tropical storms and heavy rainfall. The temperature is warm, clear skies, gentle breezes and the atmosphere idyllic. The difference here is that there is less lush green foliage, misty jungles and rain forests that you’ll find on some other Caribbean islands, but the desert landscape is beautiful in its own way. 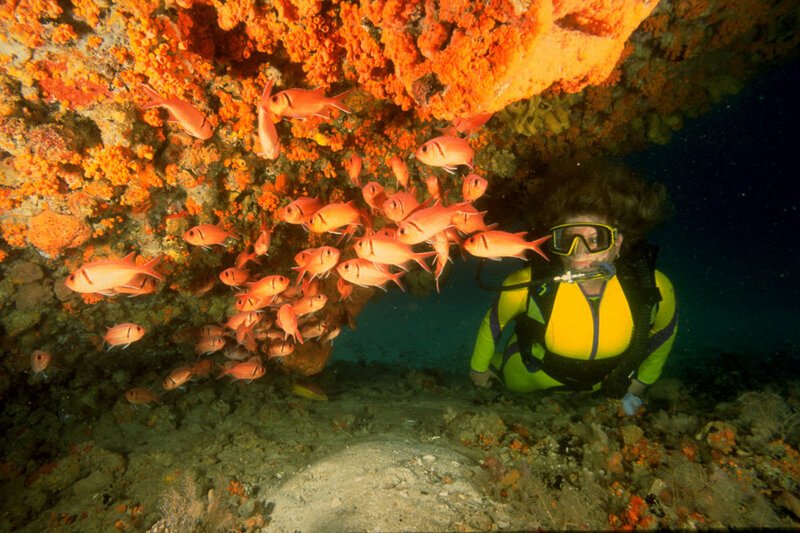 The rough waters on the northern coast have carved stunning rock formations, the most popular of which is Aruba's Natural Bridge. Numerous churches, historical buildings and some amazingly preserved artefacts from Indian tribes remain on the island due to the relative lack of turmoil since European discovery. You can explore paintings, caves, tunnels and walk historical trails from the days of the Arawak tribe, centuries ago, in the Arikok National park; a great thing to do in Aruba. The Arawaks also introduced the language spoken in Aruba today. If you prefer to do things alone, on your own watch, you may struggle a little in Aruba. Whilst you can drive around by yourself, the sheer size of the tourism industry here can make the island feel like one big package. This is fantastic for families, or where you don’t mind being on group trips as you will be able to easily find package rates. Aruba really is unique; perhaps not everyone's perfect holiday, but for some this is a paradise that they return to year after year for the beautiful beaches, dotted with palm and divi divi trees, colourful desert landscapes, stunning rock formations, and warm and friendly people who go out of their way for visitors. 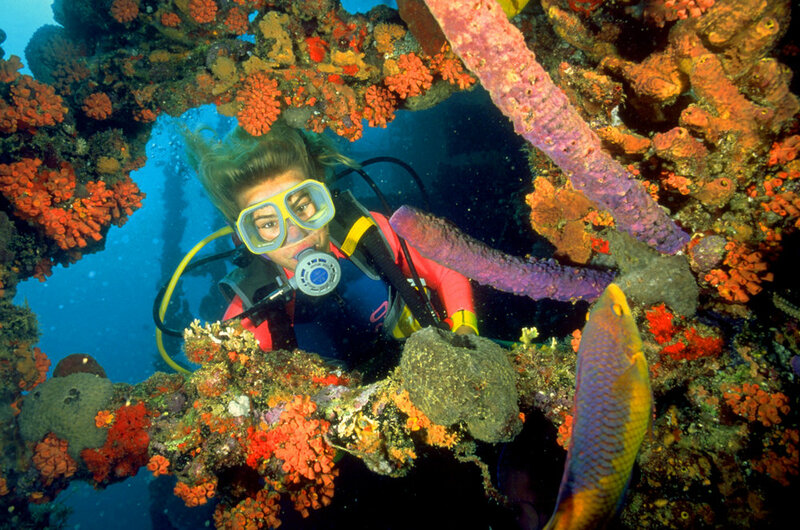 Whether you choose to return to Aruba or not, you’re promised a most memorable trip.